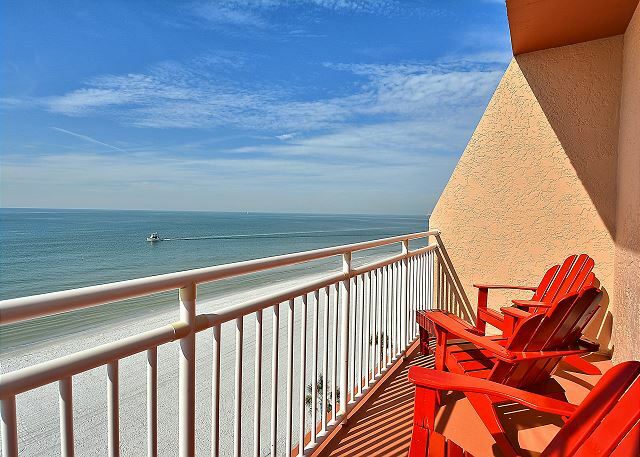 Watch the sun melt into the Gulf of Mexico while you relax on the private balcony of this completely remodeled condo. Inside, you will find a perfect combination of comfort and style. 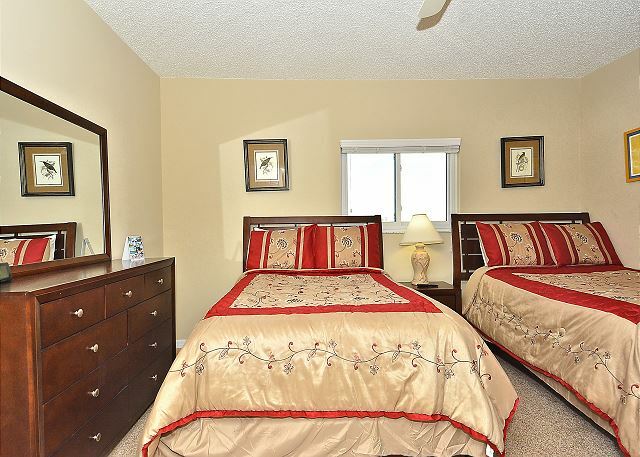 This 2 story condo offers a warm relaxing living area along with 3 cozy bedrooms and 2 baths. 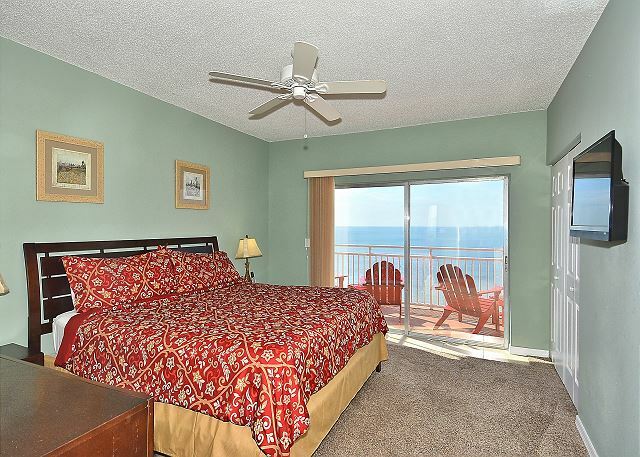 The private balcony is located off of the master bedroom on the 2nd floor. 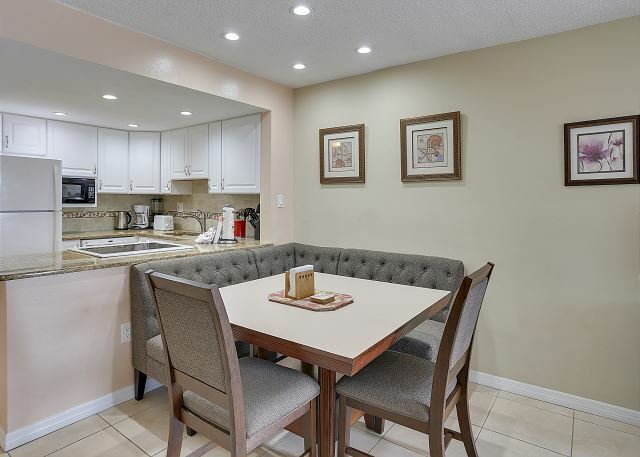 There is a fully equipped kitchen as well as ample seating for dining. 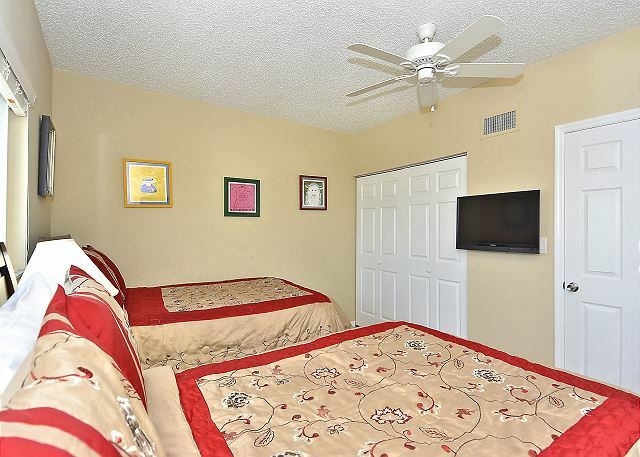 Other amenities include flat screen TV’s in the living area as well as all 3 bedrooms and wireless internet service. A lovely place with a good view and right on the beach. But there were some problems with the property (elevator, dryer, pool shower) that the Home Owners Association was slow to respond to. We are sorry for any troubles you may have had and will be sure to follow up with them on those items. We are glad you enjoyed the beach and views and hope to see you back for a future visit. Fantastic! Looking forward to having you back again next summer! rented this unit for 2 weeks in May 2018. Very clean and comfortable. I would suggest that the owners invest in a new sofa..extremely uncomfortable. Also, the table dinette set, while a great idea, is showing some wear...seats are extremely uncomfortable. Otherwise, an excellent unit and would highly recommend. 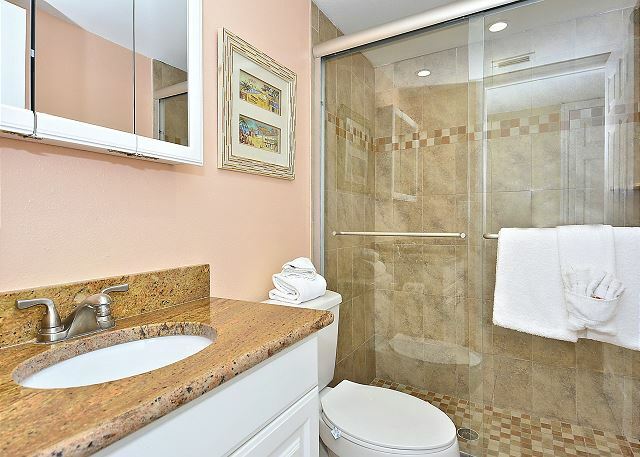 So great, we are glad you were comfortable in this condo at Sunset Chateau! We will pass along this feedback to the owners are well for the possible updates that you had mentioned, thank you for that! Thank you for choosing to stay with us and we hope to see you back for another visit soon! The condo was super clean and had all the amenities needed for a vacation. The view was spectacular. The property was well maintained. The property management company was there everyday cleaning the property and was very friendly! Loved this unit. So much space for 4 adults and two teens. Clean. Had everything we need. Location is amazing. Awesome, we are so glad you all were comfortable in this premier condo at Sunset Chateau!!! Thank you so much for staying with us and we hope to see you back for another visit! We enjoyed the location and surrounding area. Great to hear!! We hope to see you back for another visit in the future! we had a wonderful time. weather couldn,t have been better. only complaint is the furniture is so uncomfortable. Glad you had a good time and enjoyed the AWESOME weather we are experiencing this season!! We are sorry if the couch was not comfy and we will be sure to take a look at this. Thanks so much for staying with us and we hope to see you back for another beach vacation soon!! This is the second time we rented this unit now and we will rent it again. It is a beautifully kept unit with a fantastic view. Quiet beach area yet close to the resorts if you want to wander there. Highly recommended. Simply flawless.Everything went smooth from booking all the way to check out. Which made our vacation perfect. Love it, thank you!! 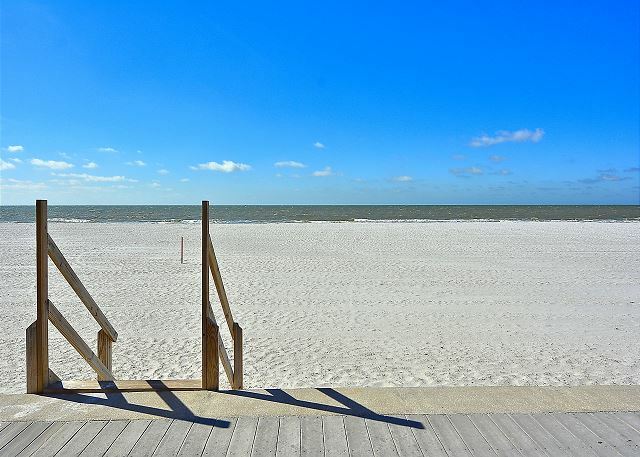 Thank you for choosing to stay with us and we look forward to having you back for another beach vacation soon! We have stayed in this building about 8 times now...and this was the best of all of the condos we have rented. Nicely updated...especially the bathrooms and kitchen, and comfortable beds. We will be booking again for sure! Awesome to hear, sounds like you found the one that fits!! :-) Thank you for choosing to stay with us and we look forward to your next stay at Sunset Chateau! The rental was clean and nice. We were not happy with the linens as they didn't fit the bed well and came off the bed during the night. The pool area is very small and didn't have seating around it which was a bummer, not what we are used to and the elevators broke down twice while we were there. Overall it was a nice stay but I think we will go back to our other spot next year. We are so sorry to hear that you were not fully pleased with your past stay! With it being a smaller pool and pool deck area the condo association chose to put the tables on the outside area for your use and we are so sorry if that was not a good fit for you. We were not aware of the elevator needing any maintenance but please let us know if anything like that comes up and we will call the condo association to have that corrected for you! We do apologize for the inconvenience that it caused. 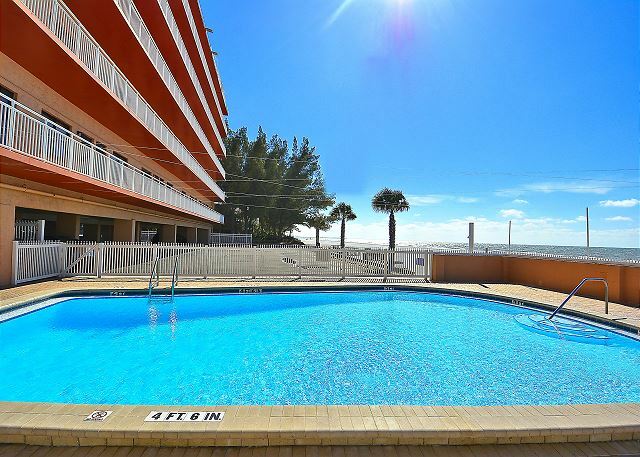 We have quite a large inventory here on our beaches and I am sure we have something outside of the Sunset Chateau property that could be a nice fit for you and we hope to host another FL vacation for you in the future. Myself and the family(6) of us had a great time, our condo was clean, the local to the pool and Gulf were perfect!! It filled all our needs. I would only say the mattresses where pretty uncomfortable, but that didn't stop any fun!! 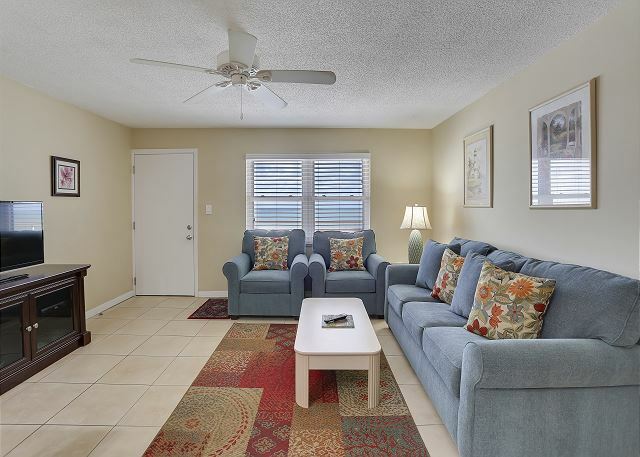 Would love to stay in this condo 609 again.... thank you resort rentals your team was exceptional, on info, guidance and hospitality.. Jerry and Kathy!! P.S. Gail and ladi s Kathy loved the donuts!! Thank you so much. Ronald R from Blacklick, OH does not recommend this vacation rental. Sent a reply previously. 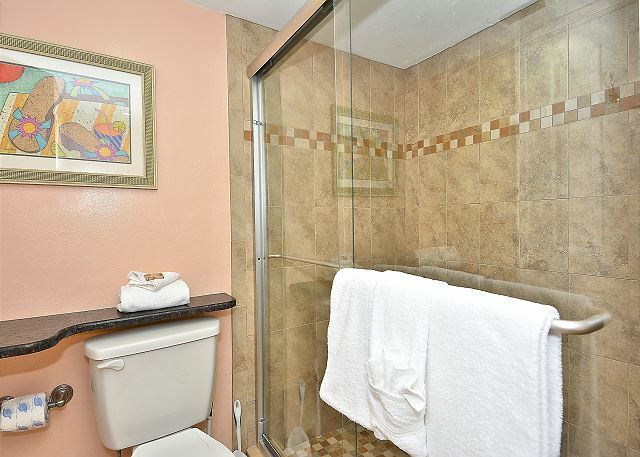 As I remember my complaints were the shower stalls had mildew areas that need attention. A good bleaching around the bottom edges would have helped. Their were light fixtures with burned out bulbs. TV remotes broken and w/o batteries. An overhead fan in the master bedroom didn't work. The location was a plus. We are so sorry for the housekeeping and maintenance issues you had listed here. We have discussed this with our housekeeping and also had our maintenance go out and look at the other items so that all can be addressed. Please do not hesitate to contact us at our office regarding anything like this that may come up as we do have staff in place that we are happy to get over to take care of anything that may be needed in those regards. We are glad to hear you enjoyed the location on Sunset Beach, it really is a lovely stretch of beach! 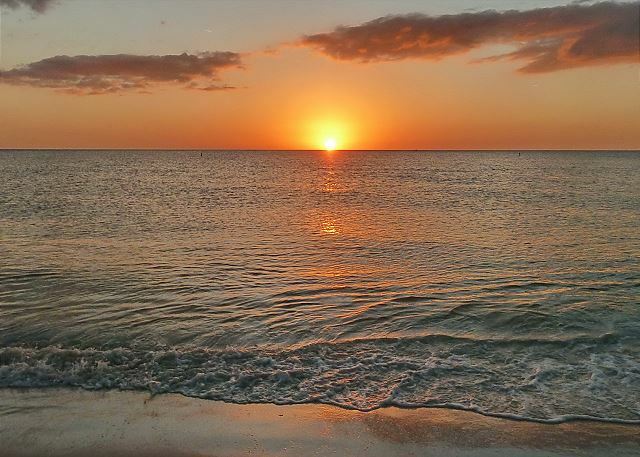 :-) Thank you for staying with us and we hope to host another upcoming FL vacation for you. My sister and I rented the condo for a vacation with our adult children to coincide with our brother's wedding. The condo was perfect for us. The view from the balcony was beautiful. Thank you so much for the post and congrats to all on the recent wedding!!!! :-) We are so glad you had a good stay while you were here for your brother's wedding, beach weddings are the best and hopefully the weather cooperated for you! Thank you for coming and being a guest with us and we hope to see you all back again soon for a beach vacation!! 30 years + to unite. Awesome. The condo was so beautiful and spacious. It was everything we expected and more. We rented the penthouse unit #609 and it was updated and clean and fun to sit in the adirondac chairs to watch the sunset. We finally got nice weather. Everything was great. Unit was very nice. We all enjoyed the unit, the beach and the pool. 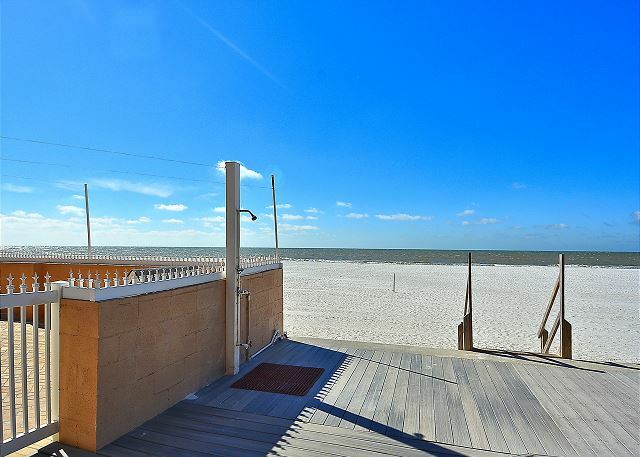 Great Gulf views and location. The pool does not have chairs so you need to bring them from your unit. There are 2 elevators and only 1 worked during our stay. Unit 609 is on the 6th floor so stairs were necessary to use with the other guests. The unit is updated and clean. The stove takes a while to heat up but it works. As always the process of working on your vacation through Resort Rentals is smooth as silk, great management company, they always deliver. We have stayed at several different units in Sunset Chateau and stayed in this one twice. 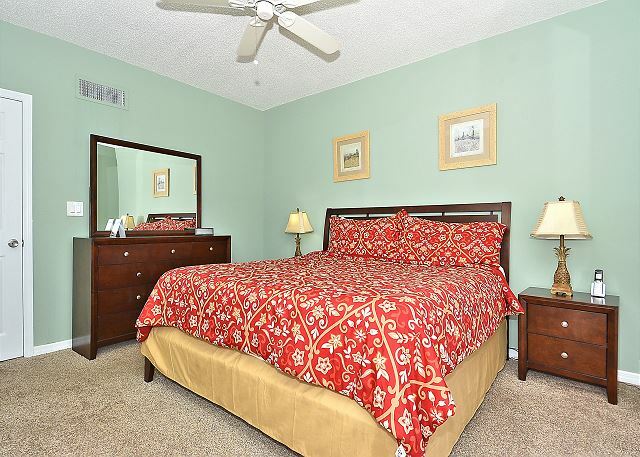 You cant beat the location and this unit is very nice having most of what you need to make your stay comfortable. We were disappointed to learn that there was only one elevator working, and that it had been down nearly all year per one resident. 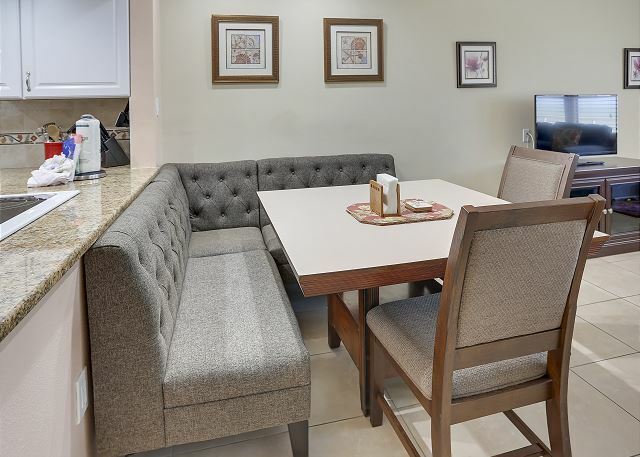 That along with the other inconveniences you generally have with a condo made us decide that as nice as this place is, next year we will go back to a private home, overall that's always been a better experience for us than Condo life. Thanks for your review. I appreciate you letting us know what you liked about the condo as well as areas you feel could be improved. I spoke with the management association concerning the elevator and was told that the second elevator should be repaired in two weeks. Sorry for the issue! Thanks again and we hope to see you next year. I found this rental online and after many hours of research of different hotels/resorts we decided to take the chance with Sunset Chateau #609. My experience booking online was very pleasant with no issues at all. Picking up the key upon arrival was quick and easy. The rental unit itself exceeded our expectations. It was very clean and comfortable. The location and view were amazing. We will be back! this was our first family vacation in 3 years. What an awesome time we had. The weather was amazing and the 3 bedroom condo at sunset chateau was simply wonderful. we have some problem with the elevator and washing machine some time it works some time it doesn't but everything else is good. My family had a wonderful time. We loved the.location and look forward to another visit in the future. Great stay on Treasure Island. 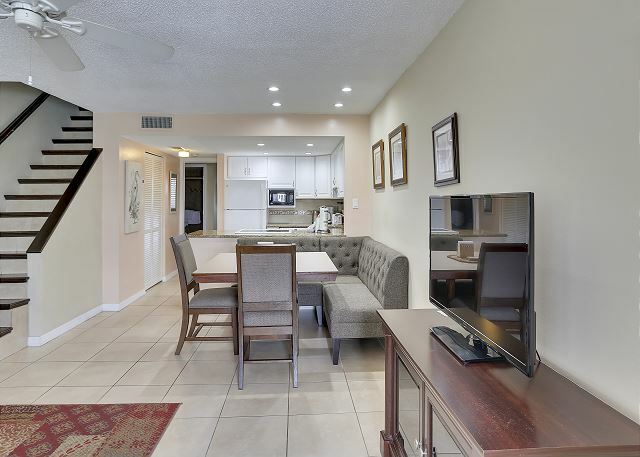 The condo was clean, nicely decorated, and had a great location. My family and I throughly enjoyed our stay. We traveled with 3 adults and 2 children so the room arrangement was perfect for us. The kitchen was well equipped, and the provided beach chairs, and umbrellas were a plesant surprise. The only downside was that we could only turn the thermostat down to 72. This caused the upstairs portion of the condo to get uncomfortably hot in the late afternoon and sleeping hours. It did not cool down until around 10 a.m. the next day. Other than that we really enjoyed our stay and we look forward to visiting again. Had a wonderful time. Beach is very private. We will definitely be returning to for many stays in the future! It was perfect! The view was great! Condo was totally updated! Beds were so comfortable. Clean as can be. Very beautiful place and the rental agency and owner were wonderful people to deal with. The location of this rental is amazing. We seen numerous dolphins swimming. The beach is great. 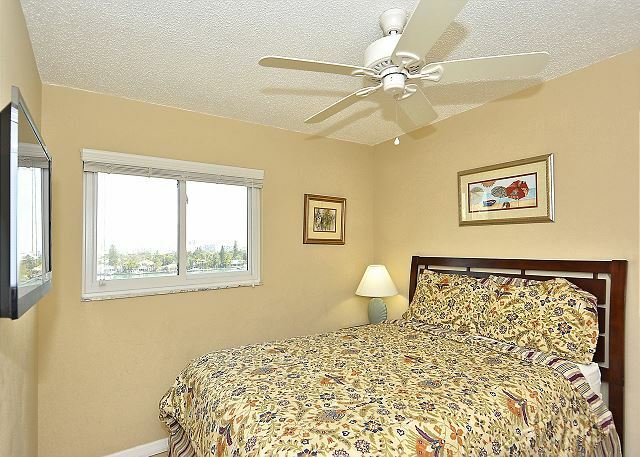 The unit is spacious and accommodated everything that we needed. Excellent in many ways!! Lots of privacy in the condo, beautiful beach, no crowds, beautiful view from master balcony, loved having little beach chairs to use, clean beach and clean premises, no disappointments whatsoever ???? The Sunset Chateau #609 condo was more than I had expected. It was clean, spacious, quiet and with a gorgeous views out of every window! I was in St.Petersburg for my daughters wedding and the condo was perfect to gather for final arrangements and enjoy family. I would definitely recommend this condo to any family that wants a place right on the beach and convenient to everything. We have been coming here for many years and this our the third rental at Sunset Chateau. Cant say enough good things about this location for a vacation spot. This unit was very nice, clean and well equipped with everything we needed to enjoy our stay for a week. I will say one word of caution for those of us who don't like stairs, these were particularly slippery, so be careful! 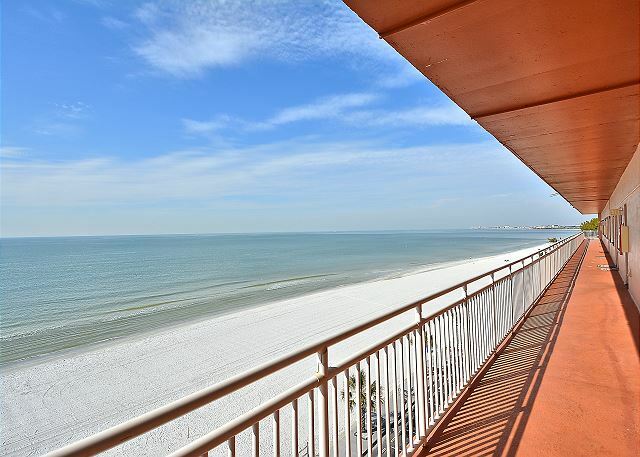 Other than that, If a beachfront condo is your thing, you would be hard pressed to find a better one anywhere else. The condo was beyond our expectations. We couldn't have ask for a better location, view, or home away from home. The only downfall was the roof construction and being woke up to roofers right above our head at 7:00 in the morning. I was not informed of the construction until 5 days before arrival. Good thing the condo was so perfect or I probably would have ask for a full refund. Thank you for such a great review. I do apologize for the roof construction. We would have notified you sooner but didn't know the completion was delayed due to inclement weather conditions. We try our best to keep our guests informed whenever we hear of something going on at the properties. Sorry we weren't able to do better in this situation. I do hope we have the opportunity to host one of your vacations in the future. Thanks again! The owners have done a great job to make this place nice. Had a great week! 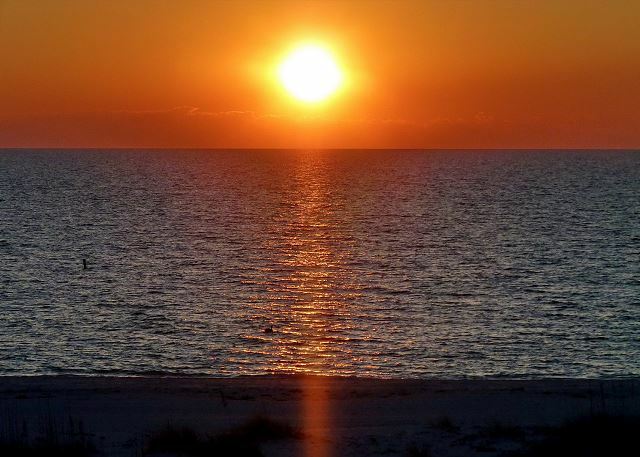 Love that you have a great sunset every night and the beach is right off the elevator. The condo was very nice, right on the beach! Loved the location! The rental staff was very friendly and helpful! Would definitely recommend staying here to a friend! Fabulous location! You can't get any better than beachfront...and the sunsets were spectacular! Highly recommend this property. We will definitely return. Condo was great. Location was quiet. 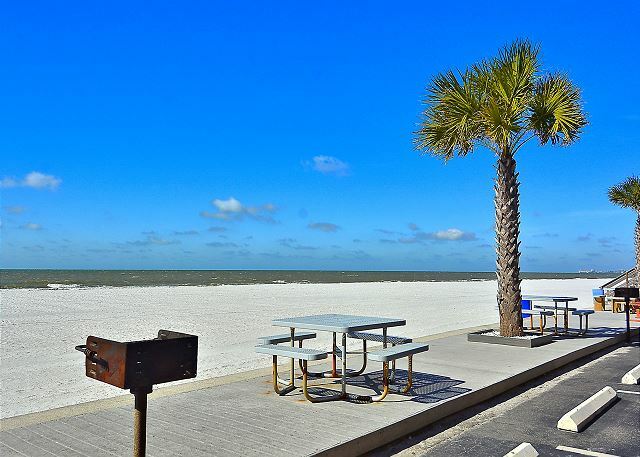 Quaint area of Treasure Island..Condo surrounded by lovely Homes! Loved the Condo....very clean and spacious to accommodate family...penthouse balcony was a bonus complete with muskoka chairs! Everything was provided...even extra beach loungers and chairs...Pool was warm...80 degrees! Beach was never busy :). Excellent location to many restaurants and stores. Terrific view of the Gulf of Mexico and the intracoastal from the back bedroom window! Enjoyed the beautiful Sunrise and Sunset each day! Would definitely rent this Unit again!! 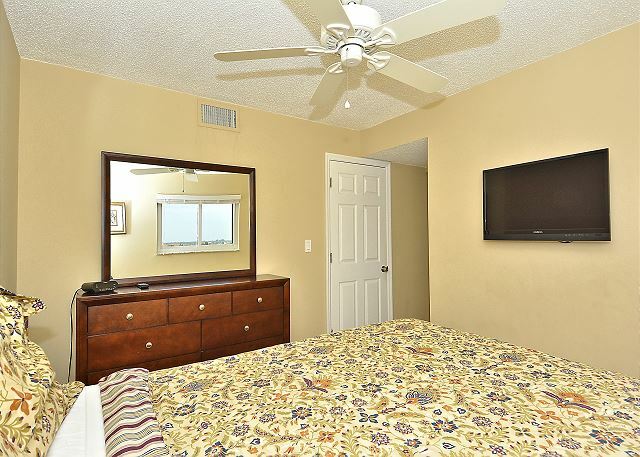 We stayed in this condo for our annual Florida golf vacation and were extremely happy with our choice. Resort Rentals is an efficient and professional management company who we have used multiple times in the past. The unit itself was clean, updated and spacious. The only downside was that there was not a washer/dryer in the unit, however there was a coin-operated set just down the hallway. If we have the chance, we would stay there again. Cleaning: I would like to see a mop to clean up little spills. We love the place and the location. We brought a baby for the first time and everything went well. The pool heater needed to be working. Even though it is a heat pump the water was very cold for the kids. If the pool was heated everyday and was warm you would have gotten a 5 star rating. Very nice property...seemed just like home. Had everything needed for a very comfortable vacation. We plan on going again next year. Only downfall I have is that resort rentals should offer some type of discount on returning customers, but they don't. We stayed in the condo and absolutely loved it! Every room was so clean and decorated to make you feel at home as well as at the beach. We will definitely book this room again when we travel to Treasure Island again! Plenty of room for family. 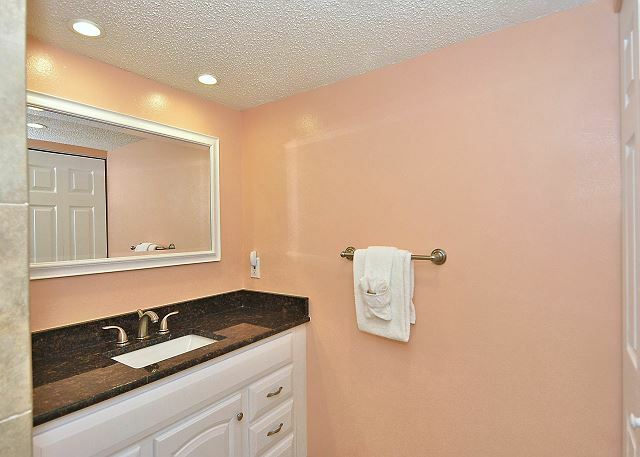 Beautiful unit- had everything-just bring beach towels. 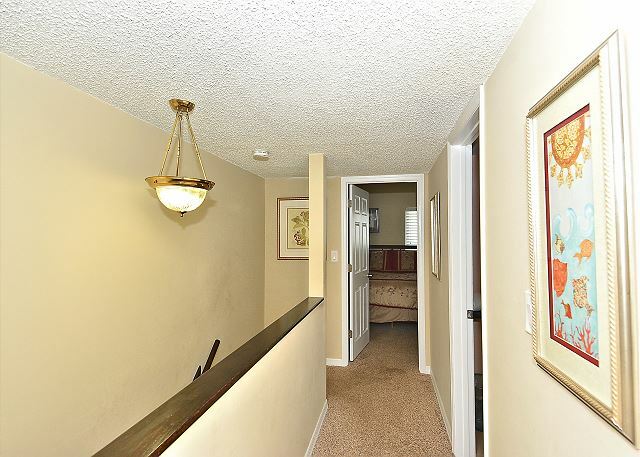 Only thing missing athis complex is a hot tub . 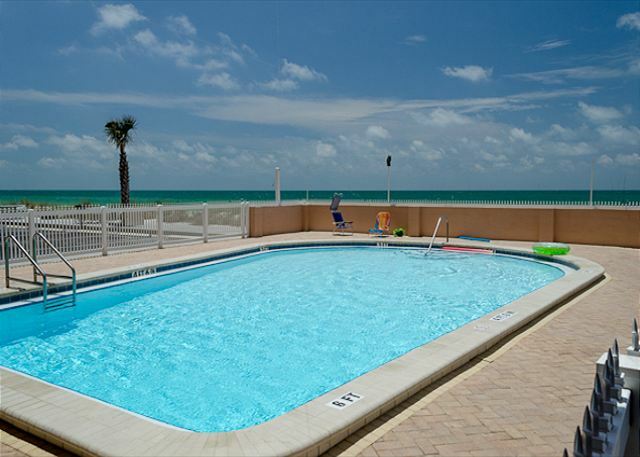 The rental was a great place to stay with an family, our child loved the pool, we loved being oceanfront. 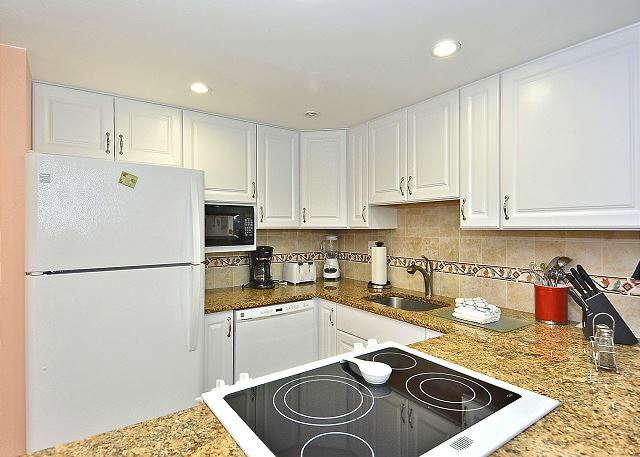 The unit was extremely clean and updated, we will probably rent this one again in the future. Thoroughly enjoyed the week! Was so nice to just walk out door and beach was there.